In a cost-saving measure, Mayor-Elect Shannon Kohl is restructuring the City’s utility departments, appointing Scotty Manley and Dallas Tincher to serve as department assistants for Water and Sanitation, with both department heads reporting to the yet-to- be-named Director of Public Works. A Street Department assistant will be named in the near future who also will report to the DPW. “I’m looking forward to working with Scotty and Dallas as they serve key roles within our overall utility structure. Their leadership and ‘can do’ attitudes are impressive and will no doubt be primary factors ensuring two vitally important services for our residents – water and wastewater – are proactively managed,” Kohl said. 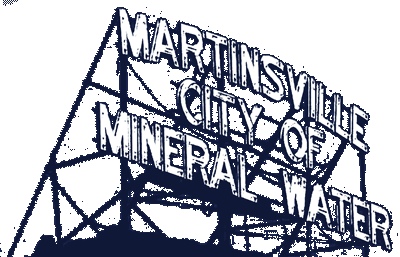 An 18-year veteran of the Water Department and lifelong Martinsville resident, Manley has served as operator of the water treatment plant since 2002. “I want to promote the City’s water service and educate the community on how we do what we do here at the plant to provide clean, safe water. I plan to make myself available for presentations to groups to explain our operations, what issues we are facing and steps we are taking to handle those issues,” Manley said. Providing 33 years of experience in the City’s Sanitation Department, Tincher is looking forward to continuing to lead the department. “I want to continue the good work our staff has done, including being as prepared as possible for a new interstate and additional businesses into the City,” Tincher said. A lifelong resident, Tincher hopes the public will take advantage of his open door policy by asking questions and taking tours of the wastewater treatment plant to better understand the expenses associated with the operation of the plant. Tours can be scheduled by calling 342-2449. Lifelong Morgan County resident Mae Cooper will continue to serve as the office manager of the Water and Sewer Utility Office, a position she has held since June of 2014. “Having been born in Martinsville, I have a special interest in serving our community. Our utility customers now have the opportunity to pay their bills online, as well as set up auto pay and register to receive paperless billing. I would like to implement more automation in the future to provide better service to our customers. I look forward to working with Mayor-Elect Kohl and her team in making the City of Martinsville the best it can be,&quot; Cooper said. Manley and Tincher will be sworn into their respective positions and officially begin serving in their roles on Friday, January 1, 2016. For questions or interview requests, contact Mayor-Elect Kohl at 765-318- 2763.